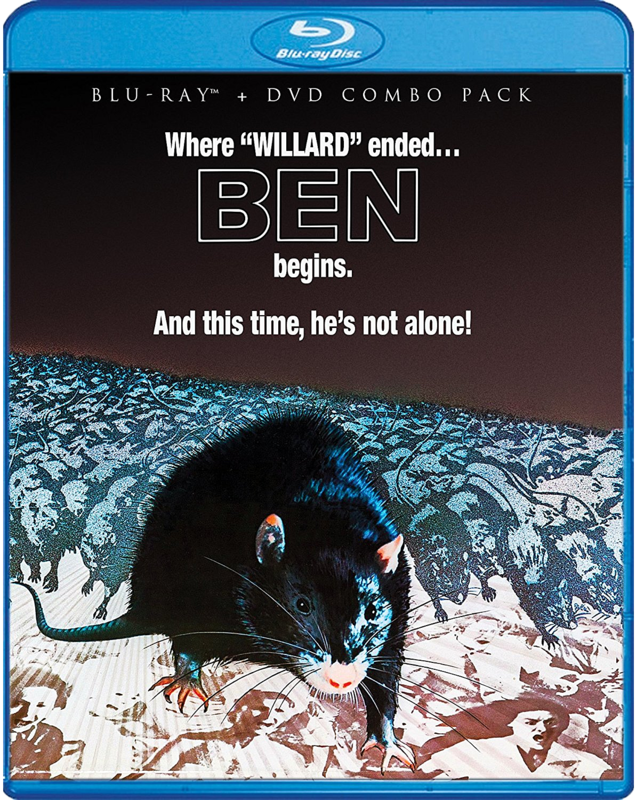 THE B-MOVIE NEWS VAULT: WILLARD and BEN now available on Blu-ray from Scream Factory! WILLARD and BEN now available on Blu-ray from Scream Factory! 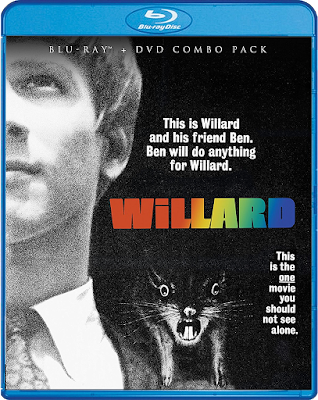 SCREAM FACTORY'S NEW BLU-RAYS OF WILLARD AND BEN WILL TEAR YOU UP IN HIGH-DEF! I haven't seen WILLARD, or its sequel BEN in a very long time, as they've been out of print. But now, thanks to those magnificent folks at Scream Factory, I can now enjoy both films in glorious high-definition! I am SO adding these to my personal movie collection alongside both FOOD OF THE GODS films, DEADLY EYES, and RATS: NIGHT OF TERROR! WILLARD Synopsis: Willard Stiles (Bruce Davison, INSIDIOUS: CHAPTER 4) is a young man with a big problem. He lives alone in a crumbling house with his ailing mother (Elsa Lanchester, Arnold, BRIDE OF FRANKENSTEIN). His boss, Al Martin (Ernest Borgnine, ESCAPE FROM NEW YORK, THE WILD BUNCH) is a vulgar, cruel man who stole his business from Willard's father and is now working Willard to death at his factory job. NEW! 4K Scan Of The Original camera Negative! NEW! Audio Commentary With Actor Bruce Davison! NEW! Interview With Actor Bruce Davison! 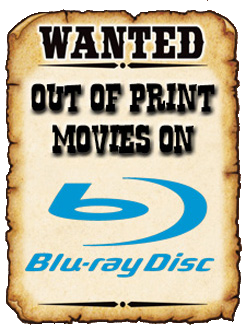 WILLARD is now available wherever Blu-ray discs are sold! You can get it now at AMAZON, BULLMOOSE, DIABOLIK DVD, or directly from SHOUT! FACTORY! BEN Synopsis: Ben is back! When detective sergeant Cliff Kirtland (Joseph Campanella, METEOR) investigates the horrifying murder of Willard Stiles by a band of rats, he discovers that the rats are now an organized army, and he must destroy the murderous rodents before it is too late. But the rats, led by Ben, the only survivor of the Willard attack, take to the challenge with full force and little fear. With an Oscar-nominated theme song, BEN "presents some genuinely creepy scenes… [and] manages to deliver the goods expected of the genre while getting the audience all misty-eyed…" (TV Guide). Put your feet up – way up – and watch: BEN is an absolute must for everyone who likes a good scare! NEW! HD Transfer From The Best Surviving Archive Print! NEW! Audio Commentary With Actor Lee Montgomery! BEN is also now available wherever Blu-ray discs are sold! Get a copy at AMAZON, BULLMOOSE, DIABOLIK DVD, or SHOUT! FACTORY so you can kick off your double feature ASAP!